Christine Forsyth-Peters defies stereotypes. Since she arrived in Los Angeles from London as Vice President of Foreign Sales and Distribution for the Intercontinental Releasing Corporation, Peters has worked her way up the ladder to her current post as head of CFP Productions, based on the Paramount lot, where she continues to develop a broad slate of feature films. Peters started out as a story analyst for the Guber-Peters Company where she played a critical role in the development of such films as THE WITCHES OF EASTWICK, GORILLAS IN THE MIST, and BATMAN. Soon after, she landed a four-year production deal at Sony Pictures, working on such projects as AFRICA (written by Eric Roth), TANGO & CASH (Sylvester Stallone, Kurt Russell, Teri Hatcher) and MONEY TRAIN (Wesley Snipes, Woody Harrelson, Jennifer Lopez), and BONFIRE OF THE VANITIES (Tom Hanks, Bruce Willis). In 1991, she formed a partnership with legendary producer Robert Evans (CHINATOWN, THE GODFATHER), and they set up their production company at Paramount. During their 10-year partnership, Peters and Evans developed a diverse slate of feature films including THE SAINT (Val Kilmer), JADE (David Caruso), and THE OUT-OF-TOWNERS (Steve Martin, Goldie Hawn). 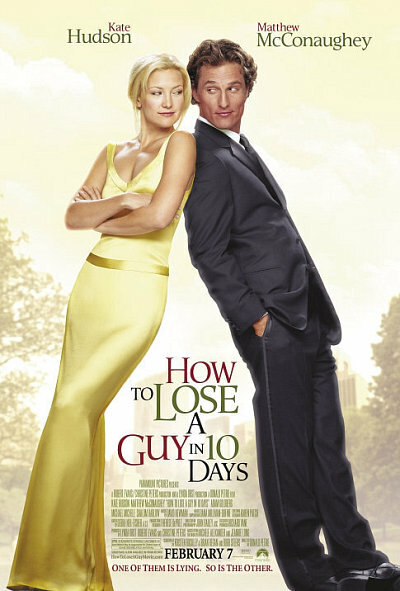 Striking out on her own once again, Peters launched a new company and produced the international hit HOW TO LOSE A GUY IN 10 DAYS, starring Kate Hudson and Matthew McConaughey. Peters shepherded the romantic comedy from its beginnings as a book, whose rights she purchased. To date, the film has brought in nearly half a billion in revenue through its theatrical release and ancillaries. Most recently, Christine launched Marmont Lane Entertainment. Marmont has packaged and developed a slate of female empowered comedies. She has proven remarkably multi-talented, serving as the West Coast Contributing Editor for Tina Brown and Miramax’s Talk Magazine, while brokering several deals with Warner Books and Talk Miramax Books. Peters is also mom to her two daughters: Skye, an up-and-coming director, and Caleigh, a studio executive. Peters is currently in the process of writing her memoir.